Genius Ignorante 1.9″ Scale Tires « Big Squid RC – RC Car and Truck News, Reviews, Videos, and More! 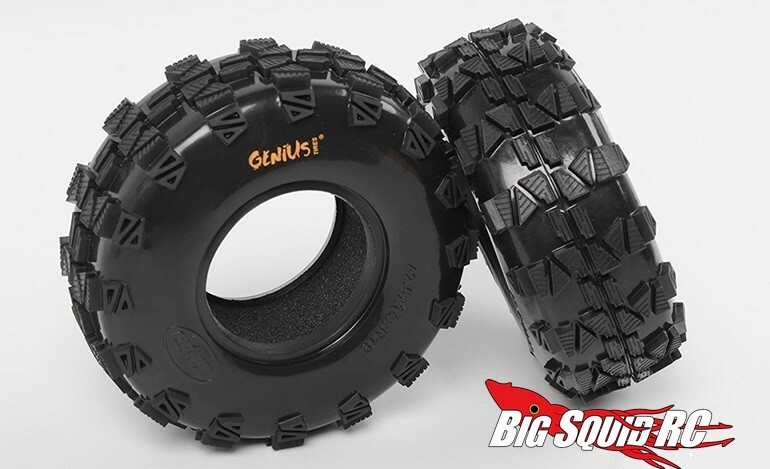 Fully licensed and ready to take your scaler to the next level are Genius Ignorante 1.9″ Tires from RC4WD. Molded in Advanced X2 SS rubber compound for loads of mechanical grip, the Genius tires also sport plenty of large lugs to find traction in loamy conditions. The tires have a street price of $24, they are shipping right now, and they have a part number of #Z-T0140. Get more of the scoop at This Link over on RC4WD’s website. Click This Link to read more RC4WD news on BigSquidRC.